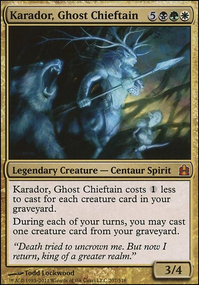 These creatures are credible threats on their own, and are not useless outside of sacrificing to your commander. @WhichKing Thanks for the suggestions :) I love the idea of Underrealm Lich and Reaper of the Wilds to add to the deck somehow. 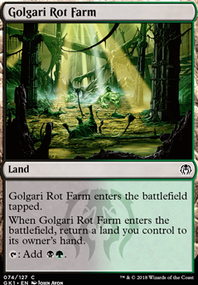 The main idea around this deck is to gain a lot of value from artifacts and have ways of killing opponents creatures to keep getting them back. I like how going as artifact-ey as I did means that a lot of cards can come back rather than when they're gone then thats it. I really appreciate the suggestions though, love hearing what others think. I see that you've chosen to make your deck as artifact-ey as possible. That is good and all, but you'll miss out on great creatures like Ulvenwald Hydra, Eternal Witness, Reaper of the Wilds, Underrealm Lich, Deathrite Shaman etc. Your commanders ability is very powerful, but you may be catering to it too much. All you need to maximize Glissa's ability is a couple of extremely useful utility artifacts, artifact creatures with great ETBs or LTBs, or artifacts that can stick around to generate value (and thus generate lots of hate, like the Immortal Sun). Link to my Meren deck here: Okay, the Whole Death Thing? Minor Setback. That being said, here are some of the very best. 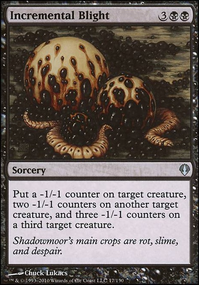 Targets: Acidic Slime for noncreature removal, Ravenous Chupacabra and Noxious Gearhulk are good creature removal, Primal Druid and Viridian Emissary are great ramp, Vindictive Lich and, Solemn Simulacrum Wurmcoil Engine are all fantastic. Outlets: Champion of Stray Souls may seem odd, but really he's very useful. 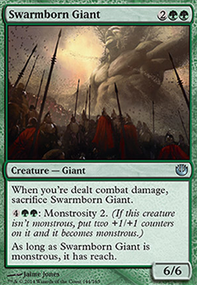 Sacrificing large quantities of creatures, getting the same amount back. Hell's Caretaker does the same, at a smaller scale. Disciple of Bolas is good card advantage. Killing Wave is either a board wipe or a massive burn spell. Perilous Forays is legendary ramp. Quagmire Druid is a little meta-dependent, but good. 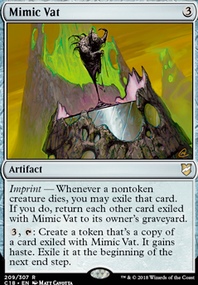 Sidisi, Undead Vizier is a tutor AND a sac. Stronghold Assassin is good removal. Vampiric Rites really pretty good card draw. And now for the passive stuff: Catacomb Sifter, Shadows of the Past, and Reaper of the Wilds are good. Deathreap Ritual, Smothering Abomination, and Lifecrafter's Bestiary are all stellar. 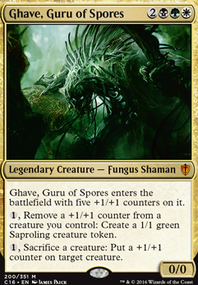 Savra, Queen of the Golgari and Dictate of Erebos are terrifying. And, finally, Zulaport Cutthroat, while not the greatest, is pretty subtle and drains a good amount.